RCP provided project and programme management throughout the consultation, design and delivery of the new Russell McVeagh refurbishment. We also acted in the role of Engineer to the Contract. 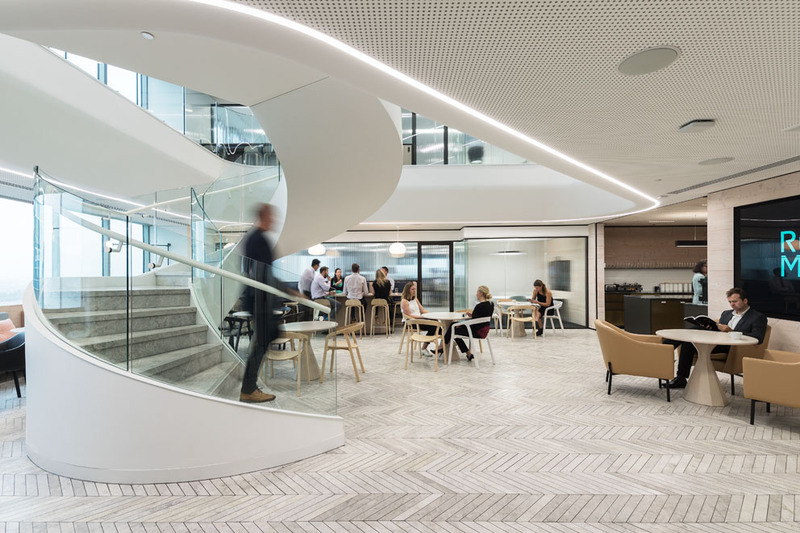 The commercial office interior refurbishment of approximately 3000sqm involved relocation of staff to decant floors for the duration of construction work. 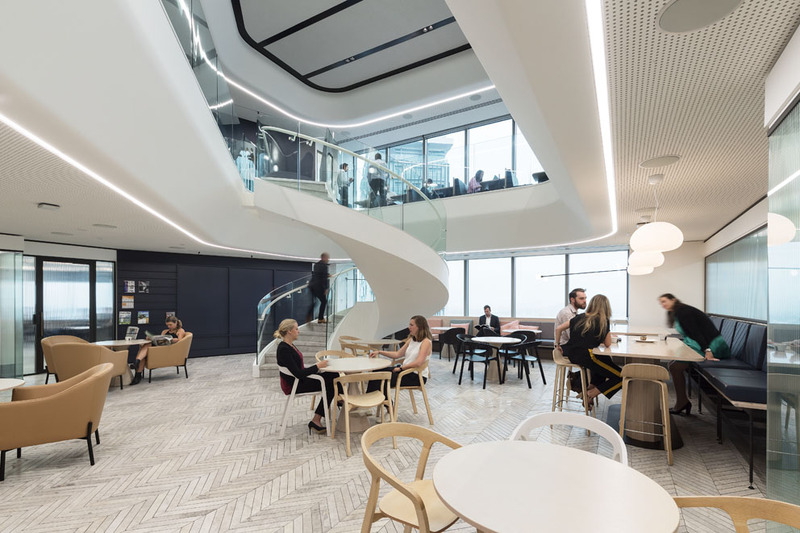 In line with the brief, to create a more modern and dynamic workplace, staff were originally located over 4 levels and now occupy 2.5 levels. Inter-connecting the 2 levels is a new helical staircase. 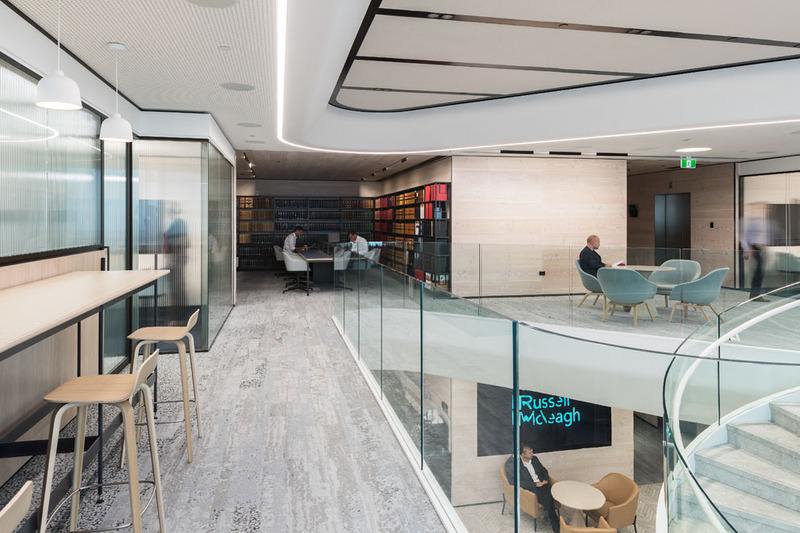 The new fit out transformed the office based environment to an open plan setting with sit to stand workstations and meeting room pods distributed throughout the office area as well as quiet rooms for tasks requiring focus and / or privacy.